Test exclusive computer software from the most popular directories! See popular software and rare applications programmes. Obtain commercial software, public domain software, freeware, and demo to recieve in different sections. On Softempire website you may anytime see a novel tools, or get the most recent editions of your most desired computer programs, utilities programs, and securities tools. To download the required software program to get, use an easy to use collection or a handy classifier. The Softempire directory is directly filled up: if there is the latest version of software program you seek, it is likely to be in the net fullest software system directory! PDF Merger and Splitter is Standalone Window based application that unswervingly metamorphoses pdf documents by single click on either function (Split & Merge) to manage pdf files by splitting into smaller documents and organizing pdf files by merging to single pdf document without too much of human intervention and time. PDF Splitter and Merger is complete error free package with fast execution of pdf files by few simple effortless procedures through most powerful utility. PDF Splitter and Merger is flexible application for all powerhood users as it is free from virus, ad ware & spy ware for splitting pdf page by even, odd numbers, page reference, page number and even split that pdf page which are not organized into smaller part by defining page limit and automatically saved to predefined location or by user specification. 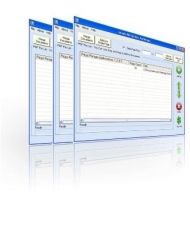 PDF Splitter and Merger designed with very intuitive and interactive graphical user interface program for quickly and accurate transposing of files by easy simple conversion process supporting all customized settings of pdf. PDF splitter and merger is an absolute and cost effective tool for converting pdf files into manage and organizing form with pdf split or merge feature without need of technical expertise and skilled manpower for installation pdf split and merge tool. PDF Merger and Splitter extremely designed for Windows operating system that supports all versions including Windows 98, 2000, Vista, Me, 7. A word document usually have large corruption issues than PDF file. You can keep data of your Word document in a PDF file using Doc to PDF freeware.